Global markets cheered as midterm election results demonstrated the restoration of checks and balances in the US Government. Democrats took control of the House of Representatives, gaining 26 seats, but Republicans consolidated their hold on the Senate with a two-seat gain. European markets have reacted positively to the results, with London’s FTSE 100 index, Germany’s DAX and France’s CAC 40 all up more than one percent in early trading. Both the euro and the pound also posted gains this morning. Asian shares were largely flat as the election results came in, but gains are expected when markets reopen. The division of Congress is likely to lead to a period of government inactivity, as policies become more difficult to pass and debate becomes more drawn out. This will give markets a chance to recover after a tumultuous October, which saw tech firms such as Amazon and Netflix lose 20 percent of their value. Key US indexes also experienced dramatic dips, with NASDAQ falling nine percent, the DOW shedding 1,300 points, and the S&P 500 experiencing its worst month since September 2011. “A divided Federal government could actually be the ideal outcome for corporate America. 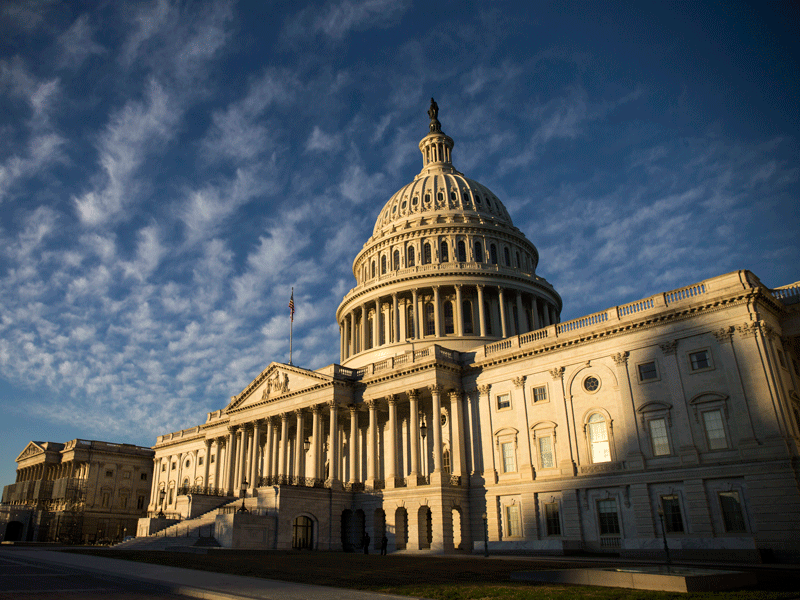 They’ve had a bumper tax cut from Donald Trump, and congressional gridlock from here should mean business can get on with things without too much political interference,” said Nicholas Hyett, an equity analyst at investment firm Hargreaves Lansdown. The ‘blue wave’ within the House will have significant implications for Trump, as it will make it near impossible for the US president to push through some of his more controversial fiscal policies on trade. Trump’s foreign policy stance is likely to be scrutinised, particularly with regards to the on-going trade war with China. In September, the White House imposed tariffs of 10 percent on $200bn of Chinese goods, which is set to increase to 25 percent by the end of the year if a deal is not reached. Beijing responded by imposing tariffs on $60bn of US goods. The two nations are now locked in a stalemate ahead of the G20 negotiations at the end of November. A softened trade strategy would also be good news for Asian markets, which collapsed amid the conflict. The Shanghai Composite lost eight percent in October, and the IMF downgraded China’s economic outlook from 6.6 percent to 6.2 percent growth for 2019. An end to the tensions would also allow the US to focus on its own economic growth, rather than concentrating attention on strained international relations. A blue House of Representatives could prove positive for national infrastructure, as Democrats in particular are keen to push for greater spending on machinery manufacturing, steel producers and oil and gas providers. HSBC chief US economist Kevin Logan wrote in a note in October: “Republicans have generally opposed Democratic plans on the issue, but President Trump has expressed support for infrastructure spending and might be willing to help.” Shares in major steel manufacturer Nucor and industrial conglomerate Honeywell both rose 0.1 percent in overnight trading, with further gains expected when markets open. The greatest source of relief is likely to have come from the accuracy of polling. According to a Morgan Stanley note seen by World Finance, “the only surprise is the lack of one for investors conditioned to expect it after Brexit and 2016”. Pre-vote polling surrounding both of those events turned out to be spectacularly inaccurate, causing market hysteria and damaging losses. After such turbulence, both in long-term geopolitical events and recent market activity, many will be reassured by the prospect of a return to stability.